'Mike + the Mechanics' is the debut album released by Genesis bassist and guitarist Mike Rutherford's side project 'Mike and the Mechanics' in 1985. 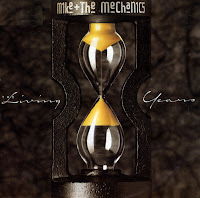 The album featured two hit singles: 'Silent running', featuring lead vocals by Paul Carrack, and the up-tempo 'All I need is a miracle'. Both songs reached the top 10 of the Billboard Hot 100 charts, peaking at numbers 6 and 5 respectively. 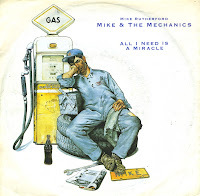 'All I need is a miracle' stalled at number 53 in the UK singles chart. 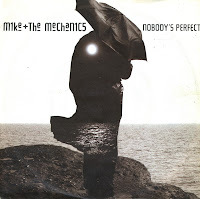 'Nobody's perfect' was the first single from Mike and the Mechanics' 1988 album 'The living years'. With its rather original sound, the track still failed to catch the attention of the general public and went by almost unnoticed. Still, I got to know the song because my sister bought it when it came out. The single reached number 63 in the US Billboard Hot 100 and number 80 in the UK singles chart. The single reached number 1 in Canada and the USA and peaked at number 2 in the UK singles chart. In the Netherlands, it reached number 20. 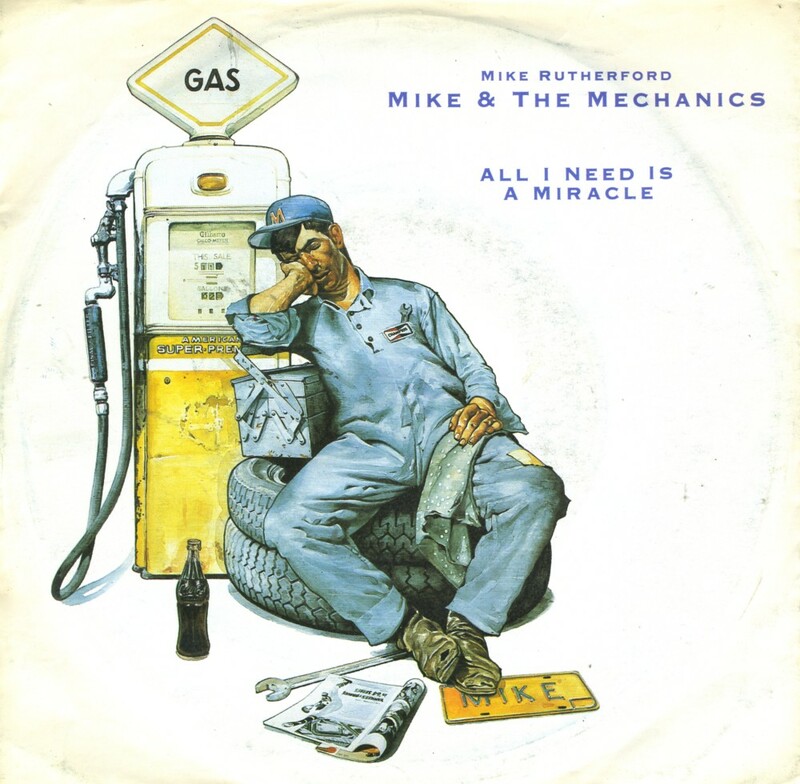 Mike Rutherford was a member of Genesis when he started a side project, Mike & the Mechanics, in 1985. 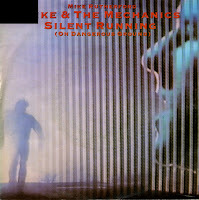 Their self-titled debut album came out in that year and featured this single, 'Silent running'. The track was featured in the movie 'On dangerous ground' (titled 'Choke Canyon' in the USA). The single reached number 21 in the UK singles chart.